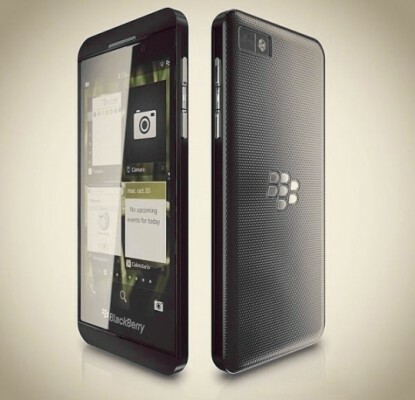 BlackBerry has recently launched two phones running its latest BlackBerry 10 operating system – The BlackBerry Z10 and Q10 . 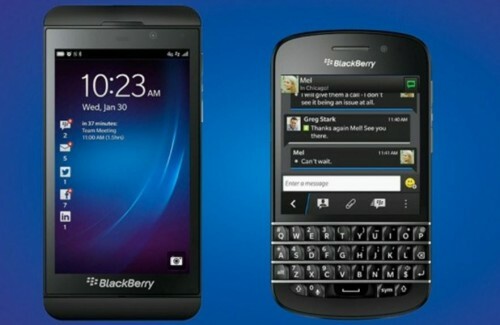 The Z10 is a full touch mobile while the latter being a QWERTY phone . With a large screen to keypad ratio , the BlackBerry Q10 is a whole new breed of smartphones having QWERTY keyboard and touch support. The BlackBerry Q10 looks just like the BlackBerry Bold except for the fact that the Q10’s keyboard spacing and layout is different and an added touch support . The BlackBerry Q10 will have no market rivals at this point of time as all manufacturers have shifted to full touch technology . The phone measures 119.6 x 66.8 x 10.4 mm and weighs 139 g . The phone fits well in your palm and allows typeaholics enough scope for rapid typing . The backplate of the phone is rubberised for a better grip and the rest of the phone is made from high quality plastic . The Q10 houses a brilliant Super AMOLED capacitive touchscre en providing a resolution of 720 x 720 pixels with 328 ppi pixel density.This is really good for a display size of 3.1 inches . BlackBerry has been really firm in providing media HDMI and mini USB support on both the phones (Z10 and Q10) . The phone has 16 GB memory on board and 2 GB ram complementing the 1.2 Ghz(Dual core)Cortex A9 processor to perform tasks at a much faster rate . Graphics support is provided by PowerVR SGX544 . When it comes to connectivity , the phone supports all the latest technologies including all WiFi standards (a/g/b/n) , Bluetooth 4.0 with A2DP ,LTE and NFC .As far as NFC and LTE are considered in a country like India , the revolution has just started and may take another 2 years for these technologies to get fully established for consumer use . But its never a waste – It might be useful during an overseas trip . In the recent times , all manufacturers have set a camera standard for mid range smartphones . Almost every mid range smartphone we’ve reviewed recently , has a 8 MP primary camera with LED flash and the BlackBerry Q10 is no exception .The secondary is a 1 MP camera for video chat .Nothing much to say about the camera . The image quality is decent , offering 3264 x 2448 resolution . 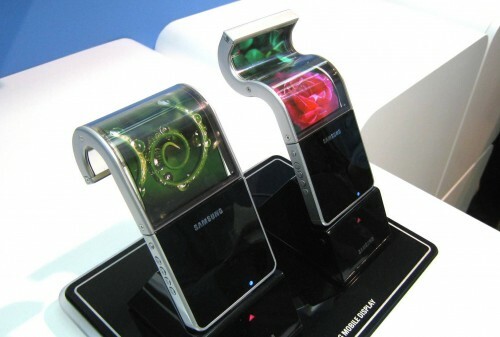 The juice for the phone is provided by a standard 1800 mAh battery which offers 10 hr talktime . As far as the availablity of the phone , BlackBerry hasn’t disclosed anything . 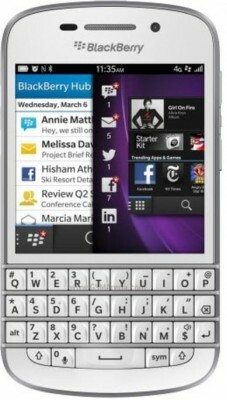 We guess that the phone is dated for mid April release .The Q10 will be available in 2 colours – Black and White . The phone is priced at 150$ with contract in Canada . We dont know BlackBerry’s pricing plans for India . We’ll update it as soon as we uncover the details . 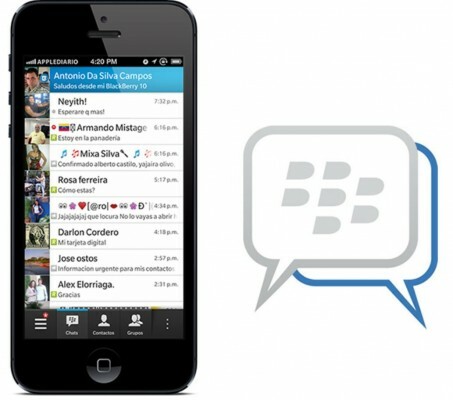 On the whole BlackBerry has taken a lot of effort to bring up its name with the release of Q10 and the result is a splendid phone offering killer features , superb battery and a newly designed , responsive operating system layered on top of it .If you are already a BlackBerry user , this phone calls for an update . 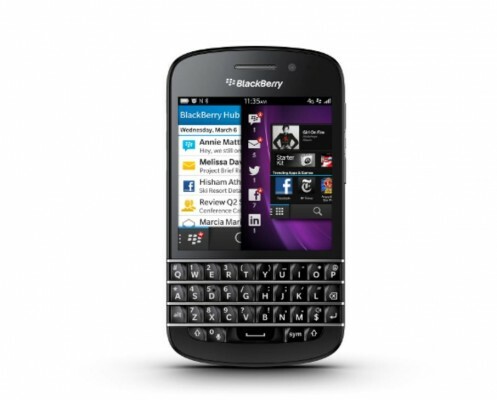 The Q10 provides everything that an intermediate user could ask for .